MHP Tunnel v0.74 - MHP3に対応!? • LittleBigPlanet – Developed in conjunction with MediaMolecule, the critically acclaimed game LittleBigPlanet makes its way to the PSP, offering new SackBoy™ adventures with the same play, create, share experience for gamers on-the-go, in addition to brand new levels and environments specifically created for the platform. • MotorStorm Arctic Edge – Developed by the award-winning Bigbig Studios, the team behind the best-selling Pursuit Force™ series, MotorStorm Arctic Edge sees the music, the festival and the brutal off-road racing arrive in the breathtaking yet lethal and unpredictable setting of Alaska. 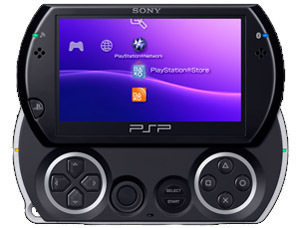 The game is also expected to hit the PlayStation 2 platform in Fall of 2009. Access Ranking （2010年07月分） analyzed by google Analytics.